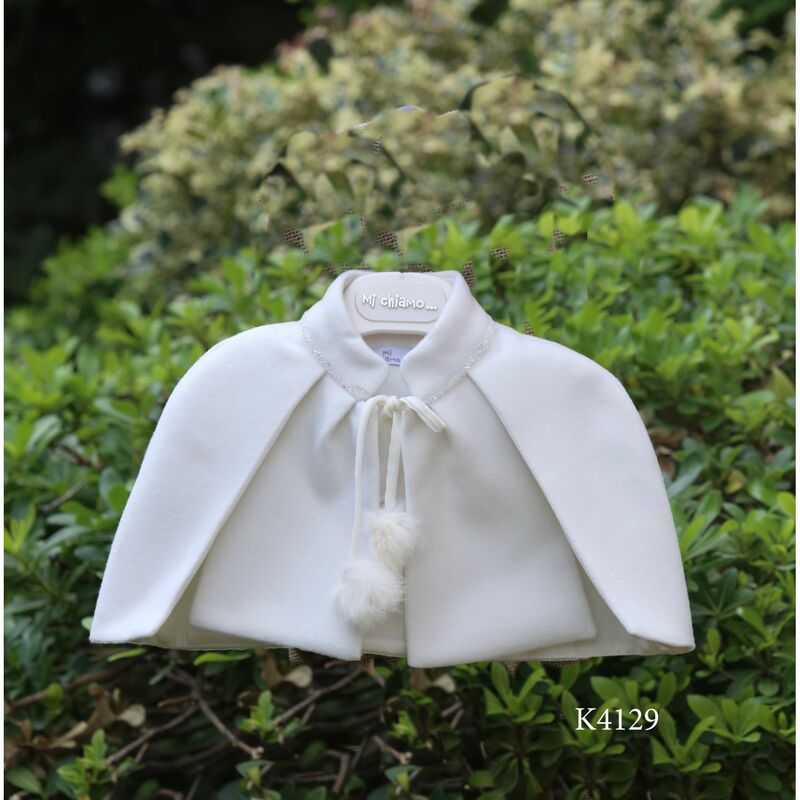 Amazing white bolero wool, for winter baptism, with very beautiful closure with ribbon and painted finish. Excellent also detail, the thin ribbon with rhinestone, which decorates around the neck of the bolero. https://www.preciousandpretty.com/2017/11/baptismal-bolero-with-pom-pon-k4129.html Greek Wedding Favors|Orthodox Crowns|Stefana|Baptism Invitations Baptismal bolero with pom pon K4129 Baptismal white wool bolero with pom-pon Product #: Greek Wedding Favors|Orthodox Crowns|Stefana|Baptism Invitations_7449280658169088016 5 stars out of 5 reviews.